A new study published in Nature on 29th June has revealed that climate change is affecting the wildlife calendar in UK and it will have continued impact in the years to come. According to the study, seasonal changes like the breeding of birds and blooming of plants are affected by temperature changes more so than they are by precipitations like snow and rainfall. Temperature changes have different impacts on flora and fauna depending on the time of the year. The predator-prey interactions between plankton-eating fish and insect-eating birds, and their respective preys can be affected in the years to come. This in-turn can have an impact on the breeding and survival of the species and consequently affect the biodiversity of UK. The study has revealed that due to climate sensitivity, there may be a change in the behavior of species that can be found in the middle of the food chains and are both prey and are preyed on by predators. The research was headed by ecologists from the UK’s Centre for Ecology & Hydrology, who are collaborating with 17 more organizations including universities, NGOs and research institutes. The researchers studied records of 370,000 observations, between the years 1960 to 2012, including long-period records. These observations covered 812 freshwater, marine and dry-land plants and animals in the UK. These species ranged from butterflies to birds, moths to mammals and plankton to plants. The records showed three different levels in the food chain. The first are primary producers including algae and flowering plants; the next level include primary consumers like herbivorous insects and seed-eating birds; and at the third level are secondary consumers including mammals, fish and insect-eating birds. The data on the species were merged with the national rainfall and temperature records to reveal that different animals and plants have different levels of sensitivity to climate changes. Moreover, the data also revealed that the species in different levels of the food chain responded differently to climate changes. Based on the estimated climate changes, the researchers have predicted that the change in the seasonal timing of the primary consumers will, by the year 2050, be more than twice the rate of change in other tropical regions. Their data predict an average of 6.2 days earlier shift as compared to the 2.5 to 2.9 days in other regions, regardless of the considerable variation in the taxonomic groups. This is the largest study of the climatic sensitivity of UK plant and animal seasonal behaviour to date. Our results show the potential for climate change to disrupt the relationships between plants and animals, and now it is crucially important that we try to understand the consequences of these changes. 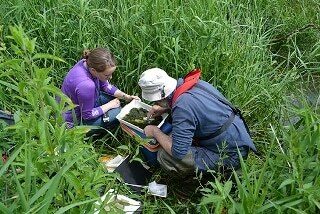 The research exploited UK’s tradition of maintaining biological recordings, using the data gathered as part of exhaustive science initiatives conducted by citizens and scientific monitoring schemes that have been in place for many years. We are lucky in the UK to have a long history of people fascinated with observing and recording events in nature. By quantifying the relationships between these phenological records and climate data across the UK, we identify many phenological events that are extremely sensitive to climate variations. These provide ideal early indicators, or sentinels, for monitoring and responding to the impacts of climate variability and change on nature. The research received financial aid from the Natural Environment Research Council.